The new Yamaha SB5X silent brass system for trombone including pickup mute and headphone amp sees an improved and more ergonomic product that not only looks good, but produces a fantastic sound. 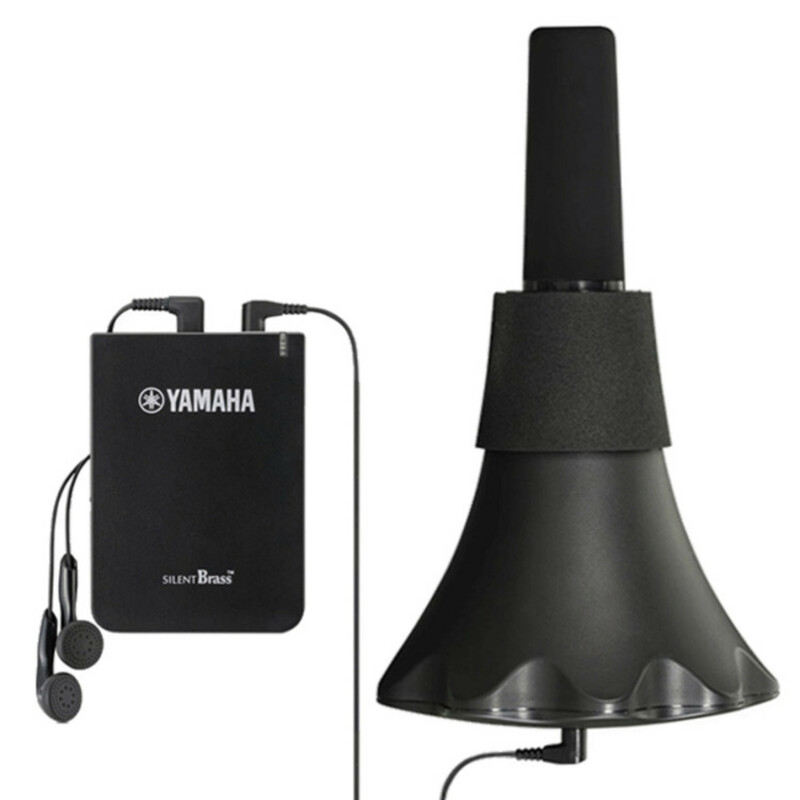 Suitable for people practising in quiet environments, this mute will allow you to believe you're still in a rehearsal room. With the new microphone, this miniature microphone has been modified to better equip itself for the range in dynamics and overtones produced by a brass instrument. Its new placement also means that the resonance technology can be fully optimised. The Silent Brass unit takes best advantage of being able to listen to yourself while you practise in near silence. Digital technology has helped Yamaha develop an authentic acoustic environment where the instrument is still allowed to sing and improves on the quality of tone produced by its predecessor. The Yamaha Silent Brass Unit allows for a number of scenarios. The headphone output lets the performer to simply hear the instrument as if in a practise room, and with the new mute design, it sounds great. So good in fact that it can be used to record yourself as you play. The Silent Brass also comes with an auxiliary input, which enables the performer to play along to favourite tracks while performing.